Florida lawmakers have tightened state gun control laws and President Donald Trump said he wants to raise age restrictions on certain firearms in the wake the mass shooting in Parkland, Florida. But the U.S. has historically struggled to pass national gun legislation — partially because it lacks the kind of data the country needs for meaningful debate, experts say. “If you don’t know what works, you can claim anything works,” said Mark Rosenberg, who worked for the Centers for Disease Control and Prevention for 20 years and directed the National Center for Injury Prevention and Control, which in part researched the public health impact of firearms. 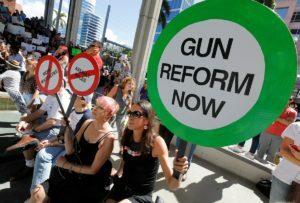 Along with a disagreement over how to define and measure mass shootings, there hasn’t been comprehensive national gun data since 1996, when the Dickey Amendment banned the Centers for Disease Control and Prevention from using funds to “advocate or promote gun control.” The amendment did not rule out research, but it was seen as an effort by the National Rifle Association to curb public health data on gun violence. Experts say the law had a chilling effect on how the country measures and tracks gun violence and what programs could possibly prevent it, an outcome the amendment’s namesake, Rep. Jay Dickey (R-Ark.) later regretted. In the wake of the Parkland shooting, and ahead of next week’s March for Our Lives, which is expected to draw as many as 500,000 people to Washington, D.C., here are some of the data points experts say we’re missing in the debate over gun control. 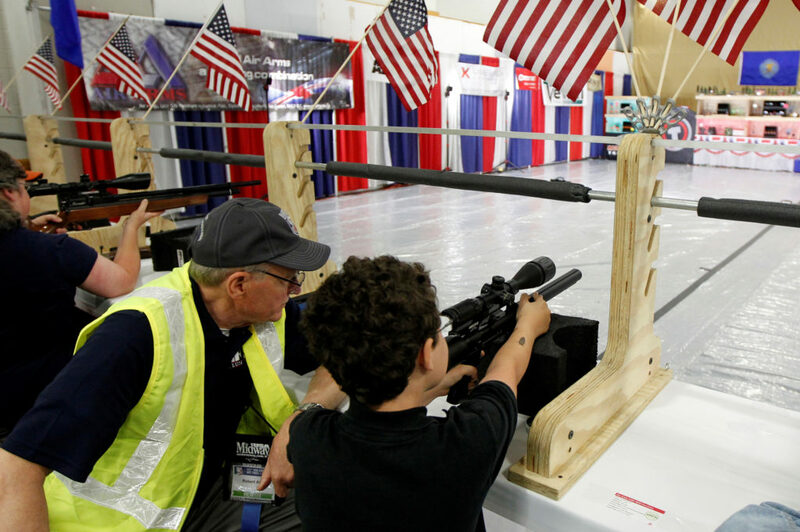 Gun instructor Robert Allen (L) works with Eathan Hawkins (8) at the air gun range at the National Rifle Association’s (NRA) annual meetings and exhibits show in Louisville, Kentucky. REUTERS/John Sommers II. The U.S. does not currently collect basic gun ownership data, said Dewey Cornell, a forensic clinical psychologist who studies how to prevent youth violence and bullying at the University of Virginia in Charlottesville. What the country needs for guns is “something like we have to register and track motor vehicles,” he said via email. GQ detailed how difficult it is for police officers to trace guns used in crimes to their owners. The magazine profiled the National Tracing Center in Martinsburg, West Virginia, which houses cardboard boxes filled with all of the paper records on gun ownership that exist. Researchers could take gun ownership data and conduct large-scale studies that identify and develop best practices to reduce gun violence, Cornell said. The NRA some gun owners have opposed that kind of database because of concern that the government could use a database to take firearms away, or take other action against gun owners. The NRA did not respond to requests for comment for this article. But without this data, it’s unclear what interventions could actually work to prevent more mass shootings, said Arthur Evans, chief executive officer for the American Psychological Association. “We’re pulling at straws,” he added. Basic epidemiological data — such as how many people have guns in their homes — may prevent gun violence, a worsening public health problem, Evans said. Often, people pin mass shootings on gunmen with mental illnesses, Evans said. It’s not that simple. One out of five Americans have a mental illness, and some researchers have challenged making such a strong correlation to mass shootings. In 2002, with help from the CDC, David Hemenway launched the National Violent Death Reporting System in 16 states. The system links records of what happened at around the time of a person’s death, notes the relationship between the victim and perpetrator, and uses data to determine why each death occurred, said Hemenway, who for decades has studied the way people die. Since then, the system has expanded to 41 states, but has not yet spread nationwide due to federal funding constraints. That’s a problem, said Hemenway, who directs the Harvard Injury Control Research Center and teaches at the Harvard University T.H. Chan School of Public Health. A salesman shows a pistol to a customer at a gun shop. Photo by REUTERS/Baz Ratner. 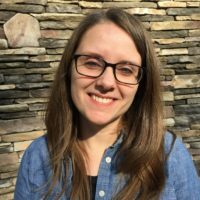 This survey, which is considered the gold standard among surveys that ask Americans about health risk factors, chronic illnesses and access to and use of preventive services, included firearms-related questions in 2001, 2002 and 2004, but no longer asks firearms questions, CDC spokesperson Courtney Lenard said. When asked, the CDC gave no specific justification for why they stopped asking those questions. Researchers have focused on proxy data instead, Hemenway said, such as how many suicides involve a gun. But it would be better to study data about what risk may be associated with having a gun at home, he said. Another black hole in the study of firearms is how little standardized data exists on shootings in which people were injured but no one died, said Daniel Webster, a public health professor at Johns Hopkins University who directs the Center for Gun Policy and Research. Most studies, Webster said, are based on the FBI’s Uniform Crime Reports, which includes supplemental homicide data, and the CDC’s analysis of death certificates. But there are holes in each of those systems. People unevenly report non-fatal gun violence, depending on where and when the incident takes place, Webster said. To more accurately gauge gun violence, Webster said the FBI should track all shootings, regardless of whether or not deaths resulted. He said the bureau should also record gun type, ammunition capacity, if a suspect legally possessed a gun, was permitted to carry a concealed firearm, or was a felon.